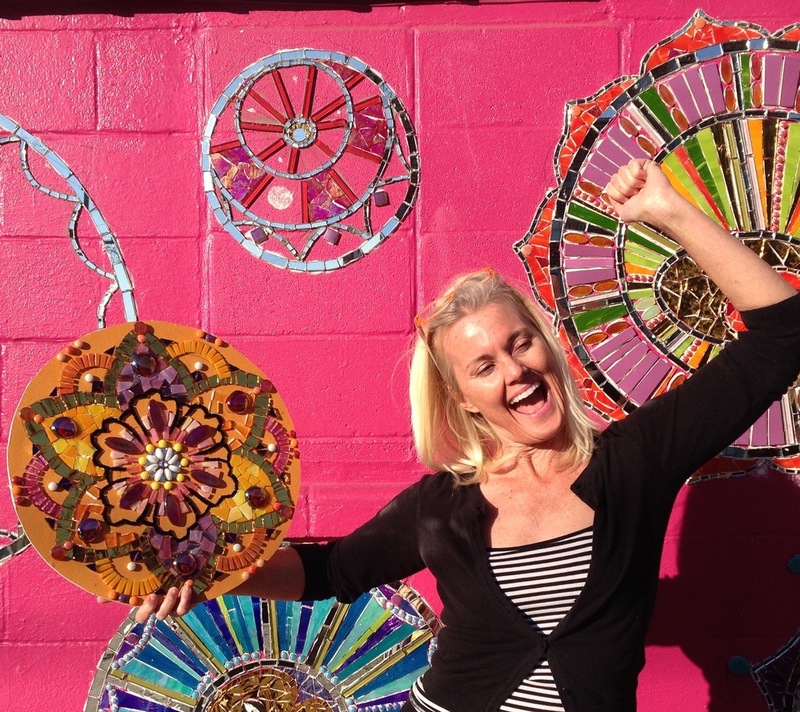 In this three-day workshop artist Laurel True will guide students through an inspirational weekend of creative exploration as they create a colorful, kaleidoscopic, mandala-like mosaic that reflects their personal style and inspirations. True encourages students to reach into the wellspring of creativity within through a series of exercises to help tap into their inner muse, break through creative challenges and get in touch with their own creative fire. Various exercises will help students to stretch their creative potential and run with their inspirations as they explore pattern, color, materials and texture. A kaleidoscope in its traditional form creates a symmetrical pattern of color and radiance through the placement and reflection of mirror and glass. 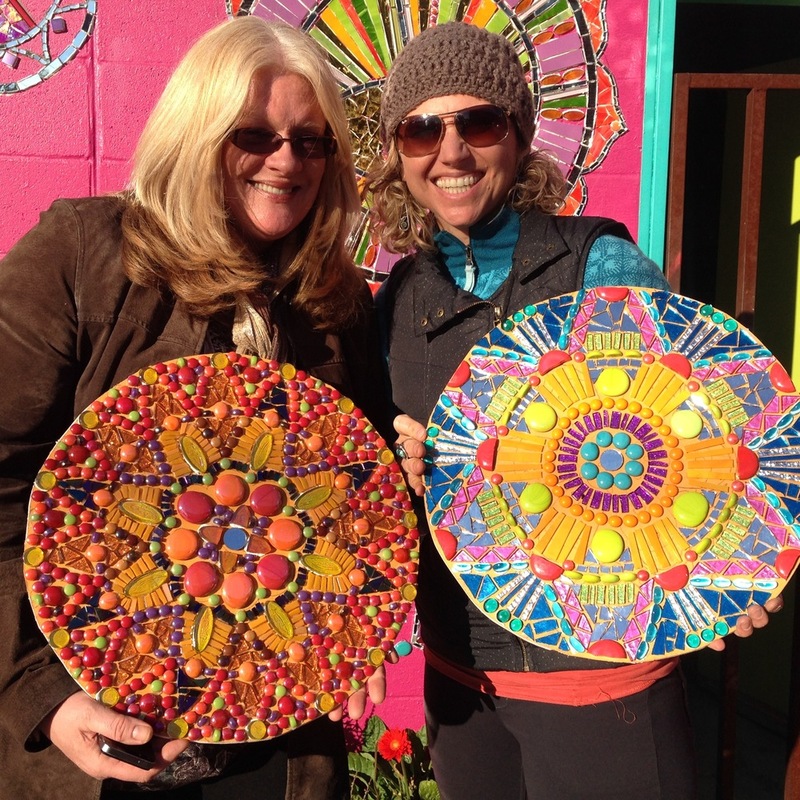 Students will re-purpose this concept under the guidance of True, as they design and create a 18” round kaleidoscopic, mandala-inspired mosaic using a wide variety of colored and stained glass, mirror, fused glass elements and more. This workshop will focus both on mosaic creation and identifying and bringing into form our creative desires, opening participants to a more intuitive approach to art-making. Students will experience mosaic as a process, working with their own inspirations during this process and coming away with a piece that is uniquely theirs. True will present various mosaic-making techniques using glass, mirror, ceramic and natural materials, as she stresses best practices for creating lasting and beautiful mosaic art. True will demonstrate the use of various tools to achieve desired cuts and shapes, and offer tips for precision setting techniques for grouted and non-grouted mosaics. Workshop will include a digital presentation of kaleidoscope, mandala and radial forms in art and nature. *This class was inspired by friend, colleague and scholar Lillian Sizemore’s seminal mosaic mandala workshops over the last decade.